Whether you are an athlete or casual sports participant, you should wear	a mouth guard to protect your teeth. If you grind your teeth while you	sleep, a bite guard will help reduce symptoms of	TMJ. We custom make mouth guards in both soft and hard materials. Mouth guards are coverings worn over teeth, and often used to protect teeth	from injury from teeth grinding and during sports. Choosing the right mouth guard is important. We offer four typess: the	pre-made mouth guard, the “boil-and-bite” fitted mouth guard,	the under armour mouth guard, and a custom-made mouth guard. When you	choose a mouth guard, be sure to pick one that is tear-resistant, well	fitted for your mouth and easy to keep clean. Also make sure it does not	prevent you from breathing properly during use. If you wear braces or	a retainer, it is imperative for you to wear a mouth guard. Your dentist	can show you how to wear one properly and how to choose the right one	to protect your smile. Mouth guards should be used by anyone — both children and adults	— who play contact sports such as football, boxing, soccer, ice	hockey, basketball, lacrosse, and field hockey. However, even those participating	in noncontact sports (for example, gymnastics) and any recreational activity	(for example, skateboarding, mountain biking) that might pose a risk of	injury to the mouth would benefit from wearing a protective mouth guard. Used in contact sports which can lead to damage or trauma to the jaws or	the face- Here a ‘gumshield’ or ‘sports guard‘	is worn, a different device to that used for grinding. Millions of people across the globe are habitual teeth grinders. Night	time teeth grinding which is left untreated for a long duration of time,	can result in severe tooth-wear. A mouthpiece effectively prevents this	wear which occurs due to attrition (basically where the top and bottom	teeth bash off each other) resulting from grinding. Stock mouth guards typically range in cost from $1 to $15 and are available	in sporting goods and drug stores. Mouth-formed guards are priced at approximately	$2 to $30 and also are available at sporting goods and drug stores. Custom-fitted	mouth guards cost between $190 and $900 and are available from a dentist. Most dental insurance plans generally do not cover the cost of mouth guards. Check with your dental insurance company to determine your level of coverage. Either way, a mouth guard is a good investment in your oral health. 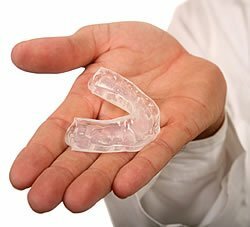 For more information about mouth guards and whether one is right for you,	contact Diaz Smile today. 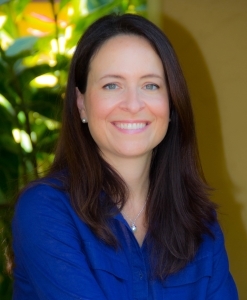 Call to schedule an appointment with our experienced dentist.